Set in an indoor soccer facility,the play presents itself as an unnoticed spectator to real conversations about non-stereotypical adolescent girls in a contemporary world. Second year drama students from the University of the Free State (UFS) will tackle the controversial drama, The Wolves, from 10 to 12 April 2019 at 19:30 in the Scaena Theatre on the campus of the UFS. As a finalist for the 2017 Pulitzer Prize for Drama, this play is a not-to-be-missed experience that will keep you on the edge of your seat. Sarah DeLappe’s play is about the coming-of-age of nine teenage girls. It centers on the experiences, attitudes, anxiety and adolescent hormonal changes of high school girls; digging deep into the daily struggles of being a girl. 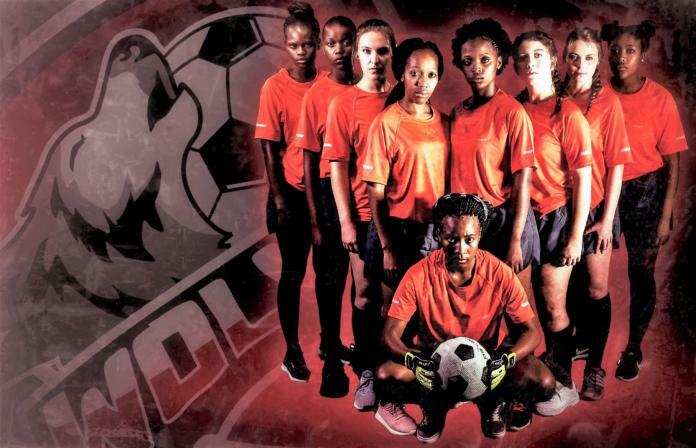 Set in an indoor soccer facility, the play presents itself as an unnoticed spectator to real conversations about non-stereotypical adolescent girls in a contemporary world. A true ensemble piece inducing witnesses to know, care for, love and protect these nine well-rounded adolescents. In the space of 90 minutes and six scenes, each young woman is delineated, contributing equally to the portrait of the pursuit of happiness. The play, which is directed by Gerben Kamper and co-directed by Marijda Kamper, has a 16+ age restriction for language.